Anything to do with interior window coverings! We come to your home or office and help you in selecting the best products for your needs. Then we measure, place the orders, and finish with quality installations. You never have to worry about anything, since we are the project managers from start to finish! We also offer custom bedspreads, coverlets, pillows and Tableaux faux iron. So you see, the sky is the limit with Avenue Window Fashions! Call us today to see how we can help you transform your interiors- 817 658 9780. We do not have our own showroom, but we can meet clients at a studio we have partnered with in Keller. Just let us know if you would rather meet there first instead of in your home or office. How do your prices compare to the big box stores/online sites? We feel the box stores/online stores are okay for the do-it-yourself customer, but we give you so much more value for your money. Also, we have products that are not offered through mass merchants, in store or online. There are so many products and options available in today's market, and we work with you personally so you can make the best decision when it comes to your purchase. Window treatments are an investment of your time and money, and we understand this! We offer products for every budget. But, keep in mind that since they are custom made, they run more than what you can go buy off the shelf. However, the quality is inherently better, and the selection is outstanding. You will be pleasantly surprised at the different styles available. Also, every product we sell has a limited lifetime warranty. What do custom draperies cost? Keep in mind that since they are made to your style and specifications, prices are comparable to custom furniture. Typically about 4-5 times more than ready made draperies you would find at a department store. But, you end up with one-of-a-kind styles and quality you won't find anywhere else! How long does it take for my window coverings to come in? Allow 1-3 weeks on the blinds and shades, 4-8 weeks for shutters, and 4-8 weeks on custom draperies. Exceptions to this are motorization, arches or other specialties. Of course! Our installation team is one of the best in the Dallas/Fort Worth/Denton Metroplex. They are insured and bonded, which means your purchase can be worry free from start to finish! We are also insured for commercial installations as well. Can I order from you if I live out of your service area? Definitely. We can also send samples for you to look over before you order. 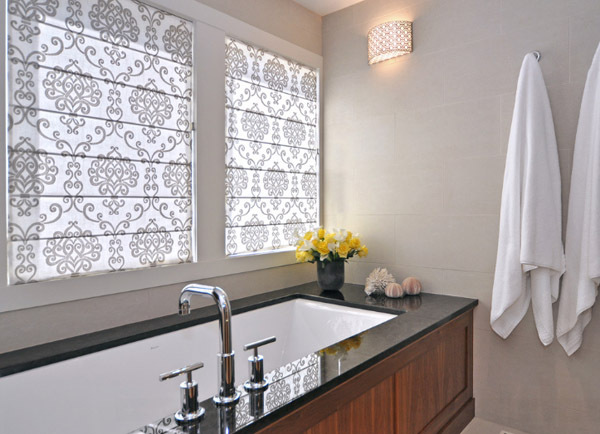 Do you only do residential window treatments? We also deal with any type of commercial window coverings for your project, big or small. We have blinds, shades, shutters and fabrics that are specifically made to pass strict flame retardant codes for any building project. There are also products that are certified green for LEEDS building requirements. We always require a 50% deposit to start the order, with the balance due at the installation. We accept all major credit cards and checks/debit cards. AWF also offers financing options with approved credit through GE Finance, just ask us for more details. We make it easier than ever to have beautiful windows coverings! We are a family owned and operated company based out of Keller, TX. I started the company is 2005, but I have been in the window covering industry since 1992. We are a member of the Keller Chamber of Commerce and have referrals from our past customers for anyone who needs reassurance about us and our business practices. Simply put, we offer our customers quality products, valuable personal service and beautiful results! Dallas, Highland Park, Addison, Frisco, Fort Worth, Keller, Midland, Odessa, Southlake, Coppell, Colleyville, Hurst, Highland Village, Argyle, Corinth, Denton, Flower Mound, Carrollton, Azle, Eagle Mountain Lake, Decatur, Bridgeport, Newark, North Richland Hills, Plano, Allen, Las Colinas, Valley Ranch, Grapevine, Roanoke, Trophy Club, Vaquero, Bedford, Euless, Westlake and other surrounding areas.